The social prescribing scheme has been created to enable medical students – the generation of today, and the future doctors of tomorrow – to get involved in learning about, teaching, and promoting Social Prescribing within their region. New: Report exploring the need to formally embed Social Prescribing teaching within the national undergraduate medical school curriculum. Read more here. How can this opportunity shape the future of medical students? There are many health practitioners promoting Social Prescribing within the UK and developing new initiatives to increase patient’s social contact and support within local communities. However, there are still several healthcare practitioners who do not add social prescribing to their work. As medical students, we represent key players in this new and exciting initiative to change the future of how we deliver healthcare in this country. We represent the doctors of tomorrow, the future of innovative concepts such as Social Prescribing, and such concepts should be understood from an early age. 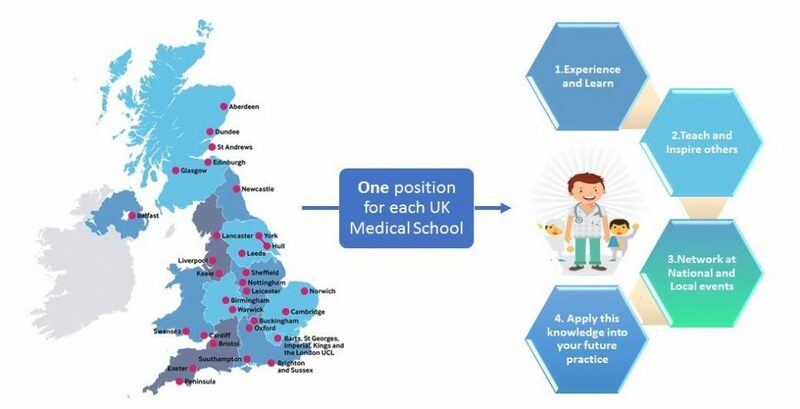 By getting involved in this scheme, medical students have the chance to gain knowledge about SP, to share this with their medical school and peers, and to advocate its importance within their local region and within the future of the NHS.